That looks cool! 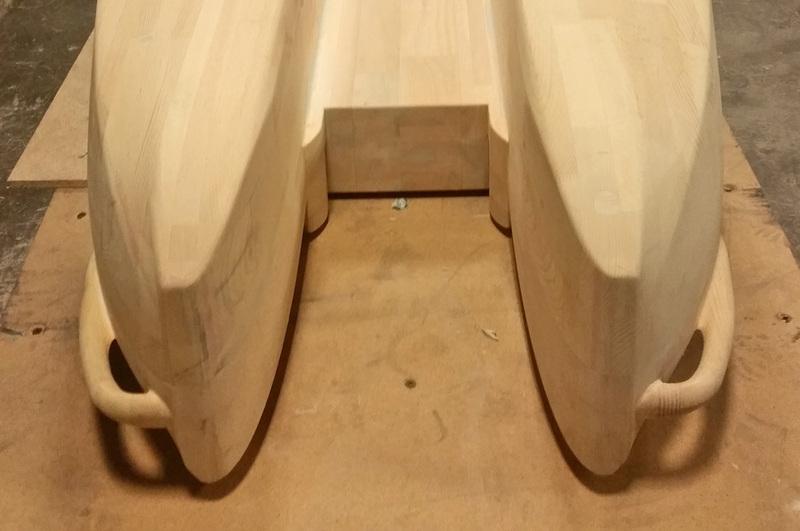 Hollow that out after they are done and you would have a wooden S4! 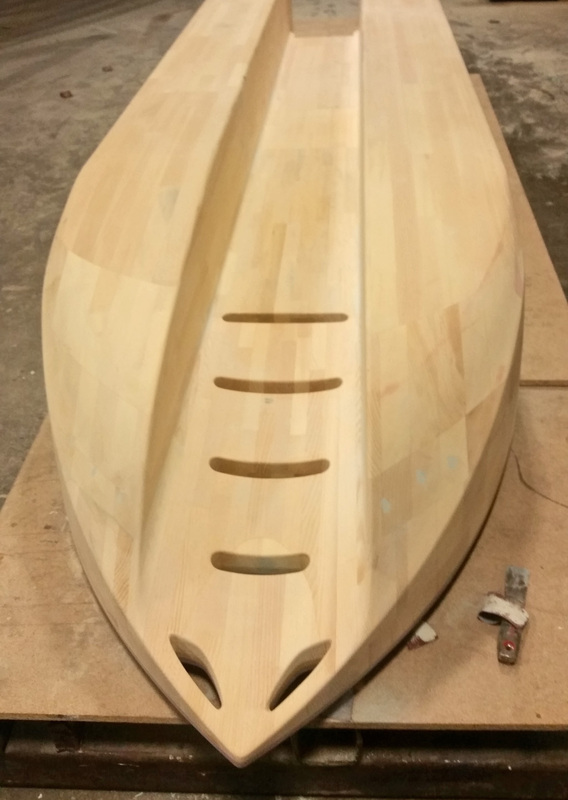 This wooden pattern is basically what a mold for cold-molding looks like, namely a mold that can be used to make fiberglass and other fiber-reinforced plastic (FRP) hulls, including carbon fiber, Kevlar, etc. Gives us a birds eye view on how the molds made. Thanks for keeping us in the loop Yoav. 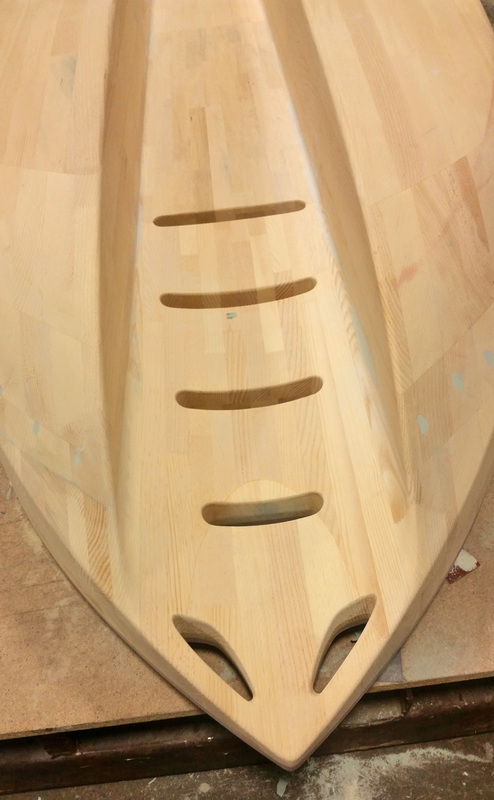 Hey, Yoav……..I bet you can’t wait to get the first model on the water. Looks like you’ll have plenty to keep you busy in this new year. Much luck to you with your new toy. I love the shapes of the S4. Those shapes are born to glide on water offering the best option for motorization if you don’t like to paddle. Good job. Bring it on.